Some of the topics that will be touched upon in this series include: collaboration between anthropologists and filmmakers in the production of the films; the pedagogical intentions and uses of the collection; and the overall historical significance of the collection. In addition, we will conduct interviews with scholars and filmmakers involved in the project and look at specific films that they worked on as part of this collection. 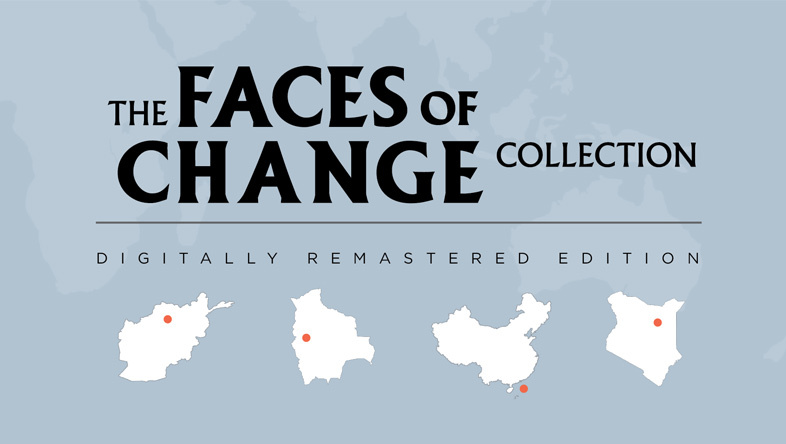 The Faces of Change collection of ethnographic films, digitally remastered by DER in 2017, contains 26 films that examine a changing world in five diverse geographic locations: starting with the China Coast at sea level and moving up to Taiwan, then to Afghanistan, Kenya and finally to the mountains of Bolivia. The films, produced by the American Universities Field Staff (AUFS) collective, through a National Science Foundation grant, were designed to examine themes such as rural society and education, and in a smaller scale, economy, the role of women and different belief systems. In addition to the films, the scholars and filmmakers who were involved in the project prepared a study guide with textual essays, instructions on how to use the films, classroom teaching strategies, and technical information. In this introduction to the collection, we will focus on the historical importance of this project for the fields of anthropology and, more specifically, ethnographic film. After the arrival of 16mm cameras and sync sound in the 1960s and the emergence of cinema vérité in France and direct cinema in the U.S., anthropologists were looking at cinema as an alternative to textual ethnography. It was in this vein that AUFS scholars (mainly anthropologists) came up with the idea of turning to the medium of film to research various so-called rural cultures whose lifeways were rapidly changing due to outside (mainly Western) intrusion. For the producer of Faces of Change, Norman Miller, and for other social scientists of the time, this period represented “a revolution in film usage” as it allowed reality to be observed easily and presented as “visual evidence” to students and professors in universities and high schools around the country (Miller 1976). In line with similar productions, such as the Netsilik Eskimo Series or the Yanomamo Series, which were taken as examples, the Faces of Change films were primarily designed to serve the educational needs of students and professors in university departments across the country. It was with this purpose in mind that the creators of the project decided to set the themes and duration for the films before they went into production in the five different locations. They decided to make two longer films (approximately 30 to 45 minutes) and three shorter ones (between 10 and 20 minutes) in each location. The films were meant to complement one-another and were designed so they could be shown together or separately. In addition, they were to serve as comparative examples of the different cultures that were explored in the films. For instance, the five films that deal with the role of women in each culture could be shown together to compare and contrast the role of women in the respective culture. Similarly, a variety of other combinations could be done with the other themes to enable a cross-cultural comparison through film. Among other things, this project was also conceived as an experiment to measure the potential of film as an alternative to textual forms in teaching. In his “visual evidence” essay, Miller predicts that “we will learn to read film as critically as we read print” and that “the old myth that those who work with ‘audio-visuals’ are somehow unscholarly, will die away” (Miller 1976:2). It is certainly difficult to evaluate whether this prediction has, so far, been accurate or not, but it is of importance to note that, despite this belief in the possibilities of film, the creators of the collection deemed it necessary to have a book-long study guide which gave background information on the five geographic locations and cultures treated in the films. We will discuss the role of accompanying textual information for ethnographic films in more detail in one of our next writings, as well as the notion of “visual evidence,” a term coined by Miller. David MacDougall, one of the celebrated practitioners of the field and one of the filmmakers involved in the project, recalls in a 2015 reflection: “The objective [of the Faces of Change project] was not to communicate a set of concepts about change, but rather to engage filmmakers and anthropologists in using film to explore processes of change as they were actually occurring in different circumstances” (MacDougall 2015). Here, then, lies a fundamental motive of this series. With this in mind, we invite you along to explore and re-evaluate the role of the Faces of Change collection, specifically of the filmmakers and anthropologists involved in it, for the development and reception of observational cinema as a filmmaking practice within anthropology and pedagogy. Here at DER, we were lucky to have a fantastic group of talented and dedicated interns with us this summer! 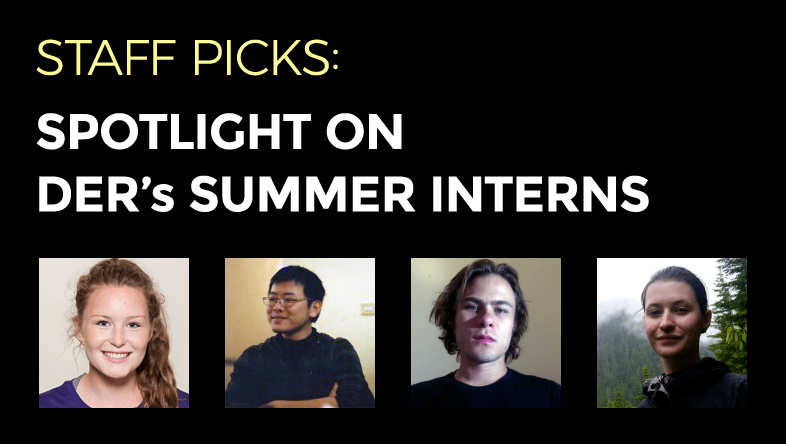 To honor this passionate group of cinephiles and acknowledge their hard work, we’ve asked them to share a bit about themselves and their favorite films from a documentary intensive summer at DER.